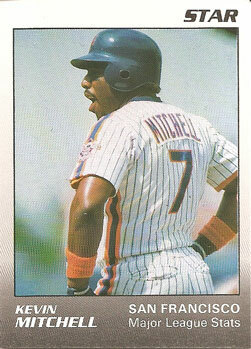 In 1989, a lot of baseball fans were excited about Will Clark and Kevin Mitchell, who led the San Francisco Giants to a National League title. 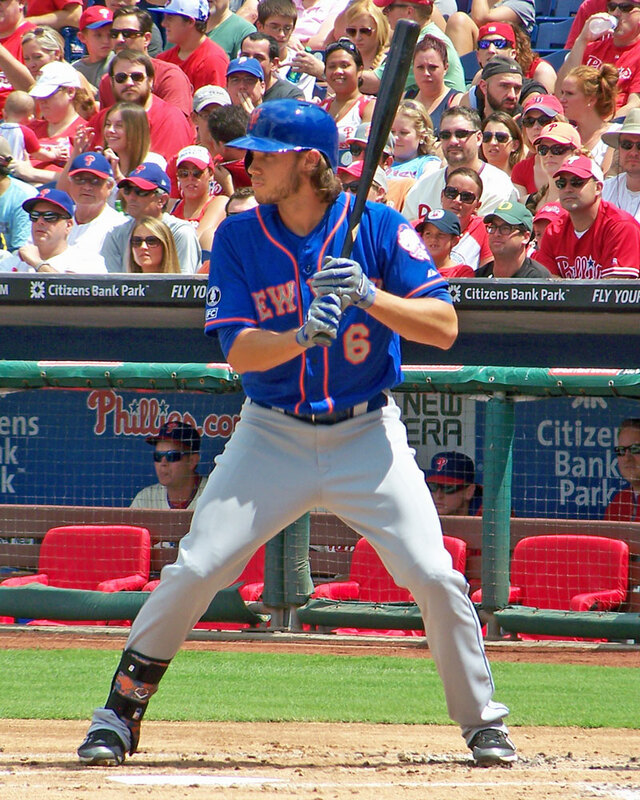 They finished 1-2 in the NL MVP voting, with Mitchell claiming the award with his league-leading 47 home runs, 125 RBI and .635 slugging percentage. 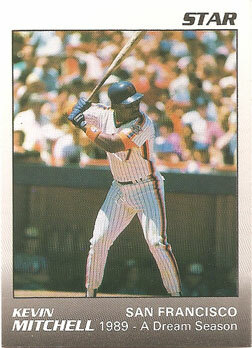 Star Co., a small baseball card maker in the 1980s and 90s that produced a lot of 10-card sets that focused on one particular player, broke with tradition and paired the two SF Giants stars in one set. 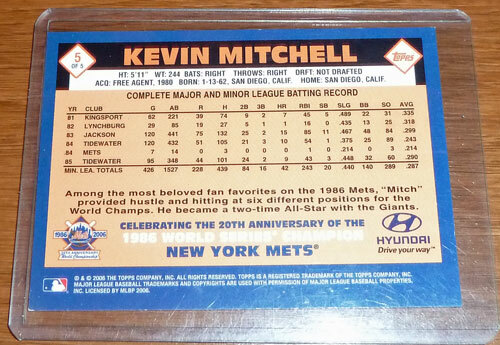 So why is this relevant to a New York Mets baseball card collector? 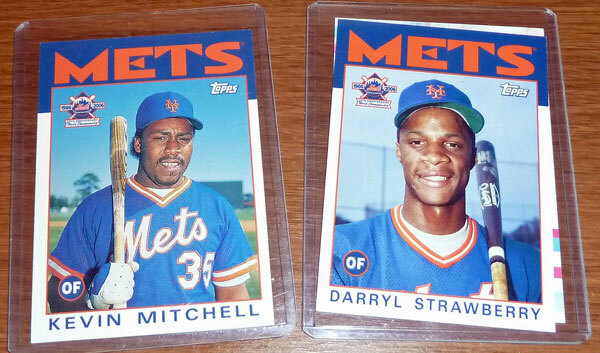 Simple – two of Mitchell’s cards in the set used photos from 1986 when he was a Met.